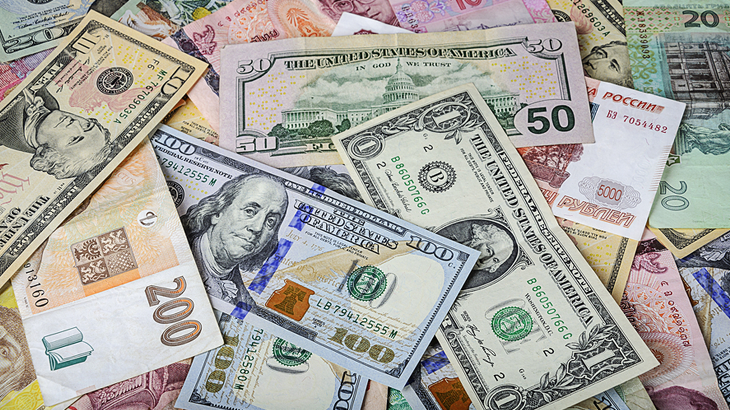 If you are traveling to another country, chances are you will be using a different currency. Look up the conversion rates before you go so that you can understand how much everything costs compared to where you are from. Make sure to inform your bank of your travel plans. They may need to authorize your card’s use in other countries. This will also help avoid false alarms about theft. Use ATMs to get foreign currency. Exchanging money at the airport generally involves paying a much higher fee. ATMs, on the other hand, will obviously dispense whatever currency is used in that location, but the fees for using your card at one are much lower. Never keep all of your money in one bag, just in case it is stolen. Divide your cash and put some in a separate location. Some people hide bills in their shoes, in empty lip balm tubes, or simply in their pocket. If you keep a small amount of spending money in your pocket, you can avoid pulling out large sums of cash when you make small purchases or tip the bellman. Also keep a copy of your passport, credit cards, license, social security card, and any other important documents in a separate place from the originals. If you are traveling for business, talk to your company about their expense policy before you leave. By understanding what you will be reimbursed for will help you as you make payment decisions along your trip. Make sure to keep all of your receipts in one place so that they are easily accessible when you return.